Seeing what is over the hill or around the corner is more than a curiosity in military operations. Vast amounts of resources are invested in trying to find out where the enemy is, what they are doing, and what they might be intending to do. Despite satellites with high resolution cameras and reconnaissance aircraft, often the best and sometime only way to determine this is by going out there on the ground and physically seeing it firsthand. This is the task of ground reconnaissance which can be as simple as a four-wheel drive, or as deadly as an armoured combat vehicle. Ground reconnaissance is essentially the collection and reporting of information on the terrain, the enemy, and the conditions and situation in areas of interest to commanders and units. Ideally a reconnaissance unit can gather this quietly, without detection, by observing and avoiding contact. Their objective is to find the enemy or gather information undetected. It is preferable that the opponent not know that they have been observed and reported. Should light reconnaissance find it impossible to go around the enemy it might be necessary to fight to clear the way or to ascertain the dispositions, strength and intent of the opponent. To accomplish this reconnaissance units require another set of capabilities in their vehicles. They must have the ability to undertake combat with adequate firepower to successfully engage, defeat, and overcome the opponent. Yet, the vehicles must retain the mobility advantage and ability to keep up with and not compromise lighter reconnaissance vehicles. 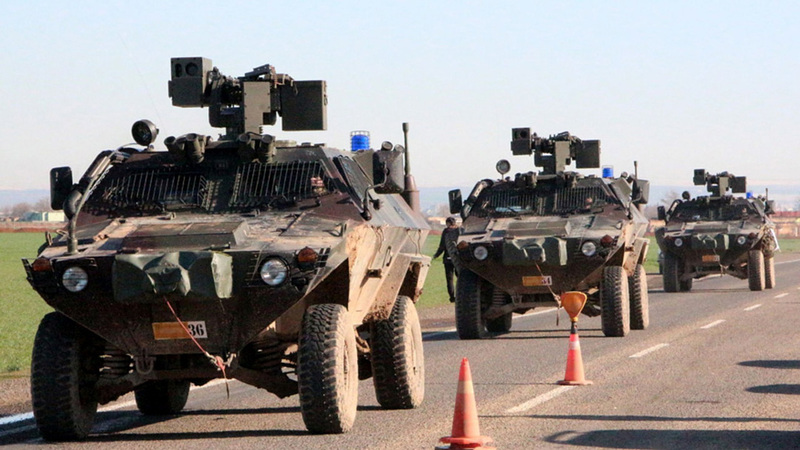 Thus light reconnaissance vehicles are usually designed with a low profile or small size and are lightly armoured, relying on speed and cover to escape detection. Light reconnaissance vehicle are the ‘eyes and ears’ of the reconnaissance efforts. Although light trucks and ‘jeeps’ have been used in this role, ideally the reconnaissance vehicle should reflect certain characteristics. They should be highly mobile with a long operational range and high reliability. They should offer a level of protection to the crew and be agile to quickly move to cover if detected and fired upon. A smaller size and lower height contribute to these vehicles being more discrete which is possible since they need only a small crew. Typically a reconnaissance vehicle needs a commander, driver and two to three additional crew, possibility a weapon gunner and dismounted observers or scouts. Yet there needs to be sufficient volume and stowage to carry surveillance sensors and supplies for prolonged independent operations. Being able to move and operate undetected requires a low noise level from the engine and suspension. Armament should reflect a gun system calibre adequate to allow the light reconnaissance vehicle to protect itself, suppress an opponent sufficiently to break contact (accurately firing on the move can be most useful there), and potentially defeat opposing similar light vehicles. As in any military vehicle design desired capabilities can often be adverse to one another and compromise may be necessary. The balance should be directly influenced by the terrain, enemy and tactical scenario in which the vehicle will perform. 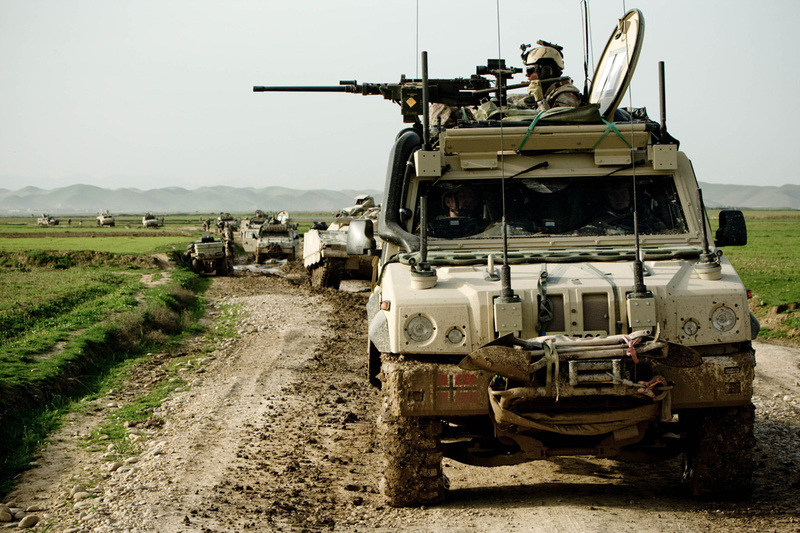 The use of Light Tactical Vehicles (LTVs) for reconnaissance may often be influenced by logistics and perceived cost. At their simplest they may have the mobility and can even carry self-defence armament. It is in protection and survivability that they are often lacking. When these begin to be armoured the cost increases and mobility and reliability can suffer, as occurred with US armed forces’ AM General HMMWVs (High Mobility Multi-Purpose Wheeled Vehicles during the US-led intervention in Iraq. Efforts like Textron’s Survivable Combat Tactical Vehicle (SCTV) successfully address this by selected subsystem upgrades and can be a route for armies which already have invested in a fleet of LTVs. The trend by Western armies, in particular, is to integrate higher ballistic and mine survivability in new LTVs, as in the US Army Joint Light Tactical Vehicle (JLTV) being supplied by Oshkosh, The General Dynamics European Land Systems Eagle and Iveco offer vehicles that also reflect this approach. 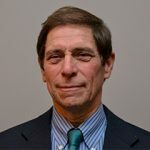 Iveco’s Nazario Bianchini, a project executive, explained that the company approach has become to consider soldier survivability from design inception. The protection is integrated often with the crew contained in an armoured ‘capsule’ that is part of the structure. Yet, recognising the critical nature of reconnaissance vehicles and the importance of providing a platform specific to this role some armies and companies have focused on designs optimised for reconnaissance. A number of these light reconnaissance vehicles have proved themselves and been widely successful. 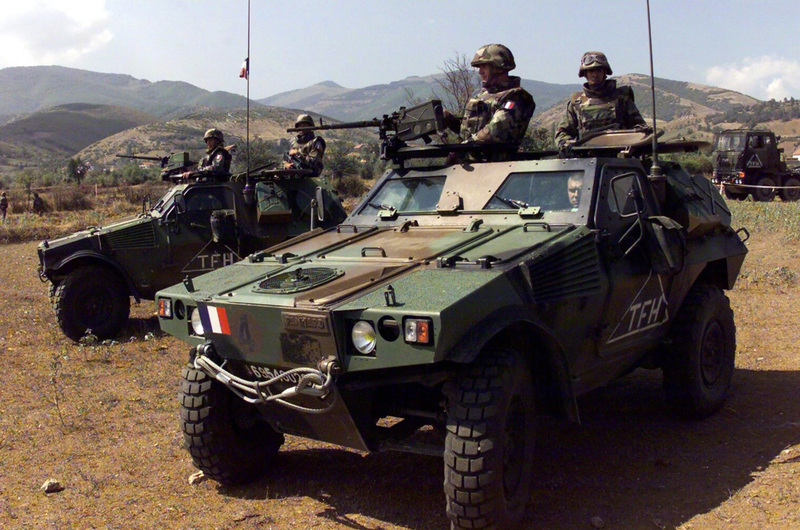 The French Panhard/Renault Trucks Defence Véhicule Blindé Léger (VBL/Light Armoured Vehicle) is one of these. At around four tonnes in weight, the vehicle has an exceptional acceleration and sprint capability, plus it can swim. It has a crew of three, a one tonne payload and can mount a 12.7mm machine gun or automatic grenade launcher, either of which can be housed in a Remote Weapons Station (RWS). The French Army’s future reconnaissance vehicle being developed by Nexter is the Jaguar EBRC (Engin Blindé de Reconnaissance et de Combat/Reconnaissance and Combat Vehicle). The initial fielding of up to 110 systems is scheduled for 2020. The vehicle has a crew of three and mounts a new CTA International CT40 40mm gun in a stabilised turret with advanced fire control and optics. “This 40mm calibre selection,” a member of Nexter’s Jaguar design team indicated to AMR, “is much more lethal, with better range and about the same recoil stress on the vehicle as 30mm calibre yet offering the terminal effectiveness necessary to defeat current armour protection.” The six-wheel drive platform weighs 25 tonnes and provides 14.5 mm ballistic and ten kilogram (22 pounds/lbs) mine blast. Considering the small crew, the vehicle size and weaponry it appears that Jaguar is a primarily a mounted reconnaissance asset that will work in cooperation with and support the VBL (see above). The essence of the VBL has been duplicated by Komatsu in its LAV for the Japanese Self Defence Force in Otokar’s Kobra and the MAK Zobel, an amphibious four-wheel drive with propellers fore and aft. The VBL design has been well received with over 2500 VBLs fielded. In addition, Otokar recently received an order for its Kobra-II vehicle with enhanced ballistic and mine protection. More details regarding this order can be found online at www.armadainternational.com. The RBY Mk.1 resembles the erstwhile Daimler British Ferret reconnaissance vehicle. 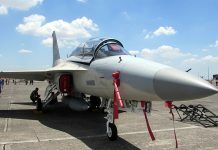 It was produced by the RAMTA Division of Israel Aircraft Industries (IAI) and used by the Israeli army. It is designed to be low (1.7 metres/5.5 feet high), nimble and light (3.6 tonnes) yet have small arms and, more importantly, mine protection. 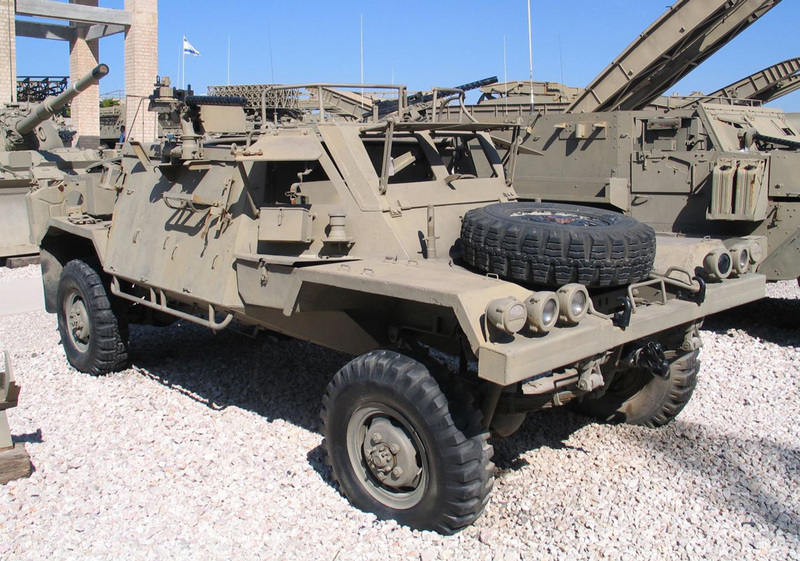 This vehicle was replaced in the Israeli army by the IAI RAM2000 which is 250mm longer with a turbo-charged diesel engine and overhead protection. It has been demonstrated with an eleven metre/m (36 feet/ft) mast-mounted sensor payload that is operated from the vehicle. Sensor packages for the vehicle can include the IAI POP optronics system. Similar but somewhat large designs are offered by Iveco/Finmeccanica in its Puma, the MAK Fennec, and the Russian BRDM. The Puma is available in both four-wheel and six-wheel drive configurations and thus can be configured for the forward reconnaissance role or, when using the larger version, to carry surveillance sensors, a larger team and medium weapons including an RWS. Puma, like the VBL (see above), can also be easily air- transported. The latter opens the ability to insert highly mobile recon teams deep inside enemy areas and beyond geographic obstacles where they would be unexpected. Meanwhile, Krauss Maffei Wegmann’s (KMW) Fennek was developed specifically with reconnaissance in mind. 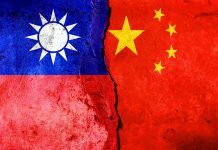 Christian Budde, a KMW spokesperson, shared that the Fennek was “specifically designed for both discrete and autonomous operation. The three-person crew can perform for five days fully independent.” Its low overall height, extremely low infrared and radar signature, low noise engine and wheeled running gear are focused on providing undetected operation. Its state of the art reconnaissance suite can be deployed above the vehicle on a three metre (9.8ft) telescopic mast. This reconnaissance suite includes radar and optronics packages. The Fennek operated with success during the German deployment to Afghanistan last decade where it would establish a mobile observation post to monitor and report. 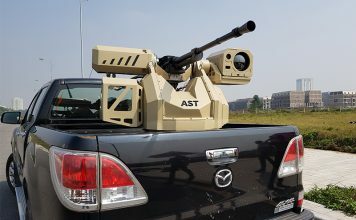 Mr. Budde adds, “On-board equipment allows precise target location precision, target tracking and target designation for coordination of tactical fire support.” The system was introduced into Royal Netherlands Army and Heer (German Army) service in 2003. Staying in Germany, The Fuchs 2, a new version of the six-wheel drive Fuchs armoured personnel carrier, built by Rheinmetall is used as a reconnaissance platform, has excellent mobility and a 5.3 knots (ten kilometres-per-hour) swim capability. It is in service with the Heer and six other countries with additional orders placed in 2015 by Kuwait. The specially-equipped NBC (Nuclear, Biological and Chemical) reconnaissance version has received particular attention. 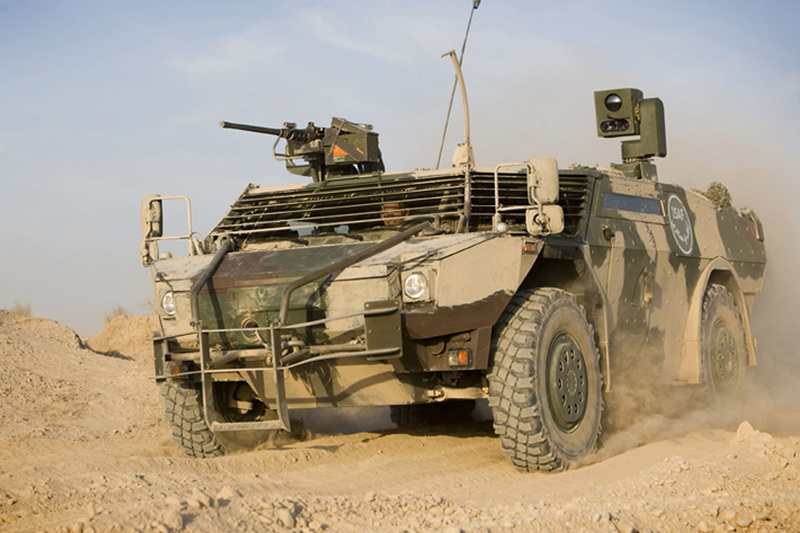 Rheinmetall received a series of contracts in 2015 to upgrade the Fuchs-2 for the Heer with the addition of greater protection and the installation of an RWS. The Russian BRDM was introduced in 1982 by Gorkovsky Avtomobilny Zavod (GAZ). It was fielded by over 54 countries and remains in service with many of them including local variants and production vehicles. It has a distinctive boat shaped hull (it is amphibious with a propeller drive) and a relatively low upper body. The wheels have central tire inflation and are assisted in trench crossing by chain-driven belly wheels lowered by the driver, which allow trench crossing. It typically has a crew of four and has been equipped with the 14.5mm machine gun one man turret and has been used with various sensors including elevating masts. 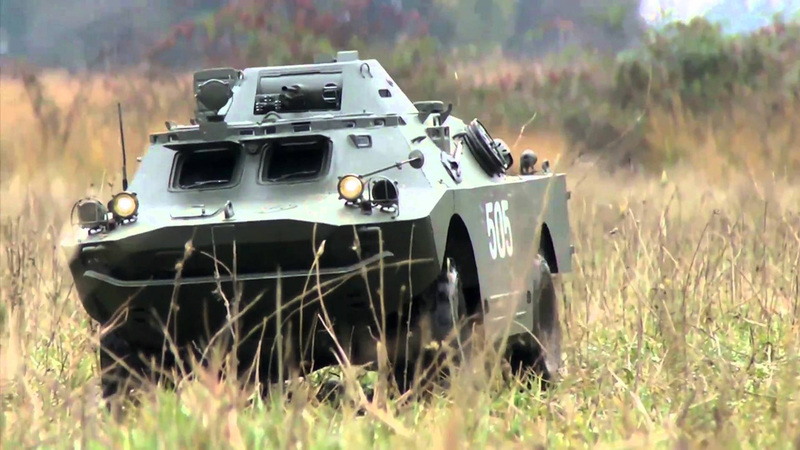 Poland, one of the BRDM users, launched a programme to develop a successor to the BRDM called LOTR. 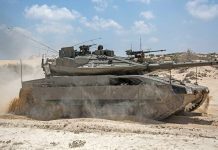 Polska Grupa Zbrojeniowa has teamed with Rheinmetall-MAN Military Vehicles (RMMV) on this effort. The LOTR is to have higher protection than the BRDM but still be amphibious. The six-wheel drive vehicle will weigh around 20 tonnes with a 3.5 tonne payload which will greatly add to its capability to support reconnaissance operations using mounted sensors and equipment. This design effort attempts to address one of the challenges in reconnaissance vehicles: how to have a low profile and size yet provide adequate space for the crew, dismounted scouts, mission equipment and supplies for extended operation. The LOTR is still in development but it is reported that Poland plans to acquire 200 vehicles for an estimated $330 million. Other users of the BRDM are seen as additional potential markets. The RG35 RPU (Reconnaissance Patrol Utility) four-wheel drive vehicle developed by Land Systems South Africa (now part of Denel) strove to achieve the ideal size-to-capacity balance by using a unique mid-side power pack layout. It has three wide ballistic windows and forward driver and commander positions with a large rear compartment with rear door or ramp access. Despite its relatively compact size (5.2m/1.5ft in length, 2.6m/8.5ft in width, and 2.5m/0.7ft in height) and a 21 tonne combat weight, the RG35 has an exceptional 6.9 tonne payload. This weight margin allows for adding supplemental armour with ten kilogram (22 pounds) explosive protection. The RG35 was offered for the Canadian reconnaissance vehicle (TAPV) but not selected and is yet to enter production. The US Army Armoured Cavalry (ACR) was ‘heavied-up’ in the 1980s being equipped with General Dynamics’ M1A1 Main Battle Tanks and BAE Systems’ M3 Bradley Cavalry Fighting Vehicles. This reflected the focus of the force on fighting in Europe against mass Soviet and Warsaw Pact armoured onslaught during the Cold War. That structure remains with the exception of several ACRs which converted to the Stryker (see above). In 2015 a push began for up-gunning some ACR Strykers with a Kongsberg 30mm RWS. This effort received impetus with the Russian incursions in Ukraine during the latter country’s civil war in 2014 causing the US Army’s Second Cavalry Regiment in Europe to submit an Urgent Operational Need to up-gun their vehicles. Their request was quickly approved, funded, and they will receive the Kongsberg RWSs by 2018. 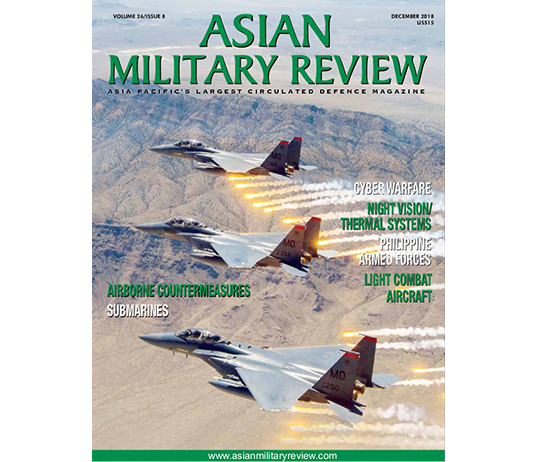 In addition, in March 2016 the army actively sought new sensors and ways to integrate various systems to make them more capable and survivable. The US Marines refer to the General Dynamics Land Systems Canada LAV-25 Light Armoured Vehicle as a reconnaissance asset. Its mobility, manoeuvrability and versatility have allowed it to perform these tasks well in two Iraq conflicts, in Afghanistan and during expeditionary deployments worldwide. It is usually employed with two dismount observers. Yet its stabilized 25mm two person turret also gives it the ability for ‘combat reconnaissance’ with weaponry adequate to fight for information when necessary. Others LAV uses including the Canadian Army and Royal Australian Army have outfitted their fleets with RSTA (Reconnaissance, Surveillance, and Target Acquisition) suites specifically dedicated to battlefield information collection. The Alvis CRV-T (Combat Reconnaissance Vehicle-Tracked) family were the primary British Army reconnaissance vehicles from 1970 onwards. The CVR-T used a common chassis for a range of variants including the 76mm gun turreted FV101 Scorpion and the Rarden 30mm cannon-equipped FV107 Scimitar. Over 3500 CVR-Ts were fielded to 21 armies worldwide with many still in use. 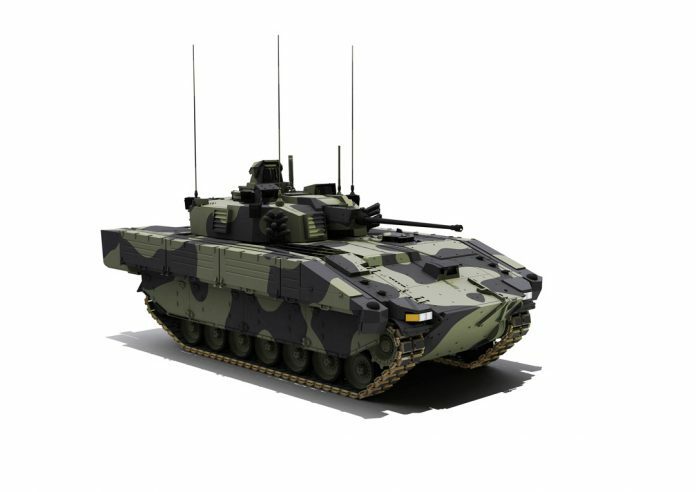 The FV107 Scimitar (and other CRV-T variants) will be replaced by the ASCOD-SV (Austrian Spanish Cooperative Development Scout Vehicle) from General Dynamics UK in a $5.8 billion contract awarded in September 2014 for 589 Scout-SV platforms. To be known as the Ajax in British Army service, the first systems are expected to be delivered in 2020. The Ajax reflects the ‘heavy cavalry’ approach to reconnaissance vehicles. Weighing up to 28 tonnes, the vehicle has 14.5mm ballistic protection and can fit SABBLIR reactive armour or MEXAS composite add-on giving 30mm protection. It carries a General Dynamics European Land Systems 30mm Mauser MK-30/2 auto-cannon with a coaxial machine gun in a traditional two-person turret and can carry up to eight soldiers. The BAE Systems/Saab CV90 reflects a similar approach to reconnaissance and in fact was selected by the Norwegian Army in a competition that included the ASCOD (see above). It also has 14.5mm to 30mm ballistic protection and can mount a 40mm gun. The recent adoption of Soucy Rubber Band Track has reduced the suspension noise over steel track and increase speed and range, both assets in reconnaissance. CV90 does, though, offer the ability to equip a reconnaissance squadron with a full set of capabilities on a common chassis. These can include a 105 or 120 mm direct fire cannon, the 35 or 40mm auto-cannon, armoured infantry carrier, and indirect fire support (using turreted mortars like the Patria AMOS) thereby providing an organic combined arms force that can gather or fight for information as needed. The debate over the preferred vehicle configuration for conducting reconnaissance has become significantly more complex today, at least for NATO and Western armies, with the expectation that their employment may well entail a deployment thousands of kilometres away most likely by aircraft. The practical limits of aircraft lift and the need to move as many vehicles per trip as possible suggest more compact vehicles. On the other hand expeditionary operations lend themselves to vehicles which can operate autonomously for a number of days, which can suggest larger vehicles. The increasing use of reconnaissance vehicles in peacekeeping and other operations short of war also suggests less ‘warlike’ systems. The challenge to industry is in combining the capabilities of combat reconnaissance vehicles with attributes like compactness and multi-utility use in a single system. The good news is that technologies like hydro-pneumatic suspension, integrated survivability, rubber band track, and compact, low recoil weapons like the CTA40 are offering developers new tools to meet this daunting challenge.